Why use LiFePO4 batteries to start internal combustion engines? 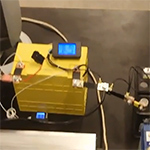 Our demonstration of Lithium Iron Phosphate (LiFePO4) battery used in an ultra-lightweight airplane. When choosing a starter battery for your caravan, boat or aircraft, you want it to be reliable. To start the engine even when the battery has not been recharged for a long time and when it is really cold. Compared to conventional prismatic, pouch cells have 60% higher energy density. Good choice for custom build packs placed in firm box or applications with strict weight limitations. All major advantages of LiFePO4 are valid, long lifetime (minimum 3000 cycles), absolutely safe Lithium technology (no acids, non corosive, no explosive). Available in two versions, 60Ah and 100Ah, on stock right now ready for shipping. Check the Pouch cells on the shop. Another month, another container full of Winston LiFeYPO4 cells is here. Expanding stock of 300Ah cells, 100Ah TALL cells, 12V/60Ah batteries or the largest 1000Ah cells. Majority of Winston LIFeYPO4 products are now available on stock with immediate shipping. 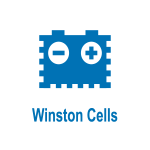 See full offer of Winston cells. Our short take on Lead and Lithium differences and why is Lithium becoming the mainstream. 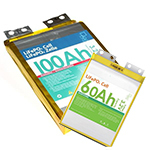 We have listed new LTO (Lithium–titanate) battery cells. These cells have 40 Ah capacity (92 Wh) whish is very suitable for wide range of applications and it's nominal voltage is 2.3 V.
We have Winston shipments coming at least once a month. Yesterday, another 20 tons arrived. This is part of ongoing effort to bring you more LiFePO4 readily available in Prague. You will see better availability in upcoming months and during 2019. But for now, we advice to act quickly, stock is going down fast. We like to show LiFePO4 and Solar products to everyone, last week in Prague on major Czech fair focusing on modern energy solutions. See photos and short video. Our little idea, PowerBox was shown along with live water boiling using LiFePO4. We value security of all information shared and provided at our e-shop. After the change, you will see certificate made on our company EVPower a.s. and picture of "lock" instead. The security of connection remains as before, this is just cosmetic change. If you prefer phone communication, please note that our primary number have been changed. 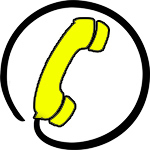 With new number comes simplification of the actual phone calls, you will reach us much faster than before. What is the difference between SLA and LiFePO4 batteries? We have tested the 12V batteries in rather extreme conditions of high speed discharge. On one side, SLA technology on other our Winston 12V, results are not so surprising, the actual difference definetly is. Have you ever tried to make your coffee using a single LiFePO4 cell? We did, and it works! Simple test using our 60Ah cell, little demonstration of 2C discharge rate in practise. Video demonstration of SmartBMS123 connection to LiFePO4 cell pack and overview of its Bluetooth App on Android and iOS. 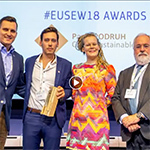 The story of Czech Sustainable Houses continues, first awarded by UN and now directly by EU Committee for its help in Sustainable Energy field. And there is more coming, with plan of first house completed later this year. Check more at the original post. 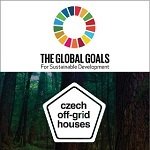 We are proud to be the Main partner of Czech Sustainable Houses! Awaiting product is finally on stock. Smart Relay is the right product for overcharge/discharge protection. Designed exactly for BMS123Smart. Smart Relay will not drain your battery when operate. Consumes less than 0.5mA. Very easy and simple to install. Learn how to connect the cells properly and perform initial charge in our first video of LiFePO4 series. In just 3 minutes, you will know all important basics before and during making your own pack. New Winston LiFePO4 cell arrive soon with unique low height design. Capacity 130Ah but only 177mm high (40mm less than 100Ah version), ideal for solutions with limited height dimmensions. Original copper connectors are also available. We are collecting preorders even now, buy the new 130Ah cell now and get them first. Pouch cell with LiFePO4 technology inside as the ideal compromise of power and size. Unlike majority of LiFePO4 cells, NPB100AH are the choice for small sized yet high capacity solution. Simple combination of 16 cells forms near 5kWh energy storage at just 38kg weight. Charging, discharging and balancing - all wrapped up in this unique iCharger Duo IC4010D.The maximum charge/discharge current up to 40A. Multifunction features, intelligent fan control, temperature and anti-spark protections, regenerative mode, 2.8-inch LCD screen, friendly interface. Winter arrived and we discount PV modules again. 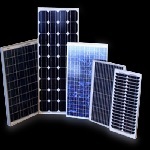 During this time we offer PV modules for special prices. Prices of almost all PV modules drop. 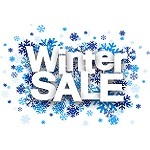 Enjoy this shopping fever and order modules before the stock go out. Find our new offer to buy whole palette of PV modules. The pack includes 24 pcs of GWL/Sunny-270P with rated power 270 Wp for incredible price. It is only for 0,399 EUR/Wp! Those high quality modules has very common dimensions: 1640 x 992 mm and frame thickness is 40 mm. Thake an advantage of shipping cost for whole pack as well. New promo gifts on stock! Are you thinking about the small gifts? Enjoy the offer of new promo products! We have recently stocked these 4 new promo products. Frame battery are available on the stock ! The most popular batteries in the frame are in stock! The long-awaited 36-volt battery with capacity 13Ah is here. The battery excels with its sturdy design on a high-quality holder that is placed instead of a bottle holder. By placing the battery in the center of the bike, an optimal center of gravity is achieved. The battery is equipped with an anti-theft lock, and after unlocking it can be easily removed from the holder, for example, when charging or transporting. We have recently stocked the entirely new type of highly efficient solar panel GWL/Sunny Mono 300Wp 60 cells. With the standard size (1640 x 992 x 40 mm), it achieves 300 Wp (efficiency 18.35%), contains standard 60 cells. It is suitable for GridFree systems, as well as for more extensive installations. Its available immediately. Our small PV panels arrived! Our small PV panels are available on stock again! GWL/Sunny-40P - Poly 40Wp module for smaller applications. You can supply you LED lightning, BTS or anything else. For sure you can stack more modules together to reach higher power. Then you can use e.g. REG-LS2024EU (with even USB charger output. GWL/Sunny-150P - Poly 150Wp module for installation ontop of your caravan, yacht or anywhere else where you might be limited by area or PV module weight. The very popular LiFePO4 cells ZG 20Ah and ZG 60Ah cells are equipped by screw terminals and nuts. All what you need are the connectors. 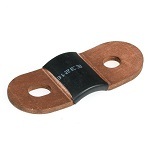 The original copper flexible terminal connectors are suitable for EV application due to the flexible design as well as for the energy storages. Order the connectors for 20Ah cells and for the 60Ah cells. The initial charging is key factor for long term balanced LiFePO4 battery pack after you purchase the cells! Each LiFePO4 cell is charged for only 40 - 60% due to transportation rules. All cells in pack must be charged in full before first use. The single cell chargers are suitable for the initial charging. GWL Power brings you new single cell 3.65V 5A charger for resonable price. Please see more details on product page. Complete EVBIKE set with just one click! GWL Power introduces Li-Ion cells LG MH1 in 18650 design with high capacity 3200mAh. The next advantage of this cell is high output current 10A and also resonable price. The LG MH1 is suitable for making bigger battery packs. Please see more details on product page. 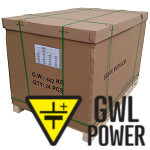 GWL Power introduce well made and price resonable LiFePO4 cells in 26650 design. You can choose between 3.2V 3Ah LFP cell, 3.2V 6Ah and 12Ah packs with wires to achieve higher capacity or voltage easy by serial or parallel connection of more packs. The same cells use also the 12V 3Ah battery pack with PCM module and 8A max. discharging current. New season just started and we prepared new PV panels for you! There are available new photovoltaic panels with same dimensions but higher power. You can use fully black Monocrystalline 280 Wp solar panel, standard and fully black version of Polycrystalline 270 Wp solar panels and last but not least 72cells Polycrystalline 320 Wp solar panels. Bear in mind the spring sunshine and do not waste the free energy! The new smart GridFree inverters for indoor installations are equipped with limiter. The limiter manage output power of the inverter according to the current consumption to stop any overflows to public grid. You can choose between inverter with output power 2000W (input 45 - 90V), 1000W (input 22 - 60V) or 1000W (input 45 - 90V). Use them now and enjoy start of sunny days in full without any worries. The most powerful EVBIKE set at the best price! 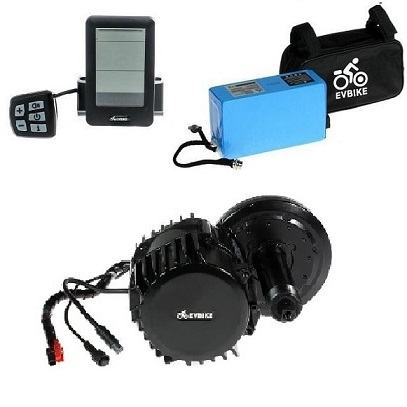 Special limited offer of our most powerful engine EVBIKE 48V 1000W with high-capacity battery, quick charger, display and gearsensor for best price. This is complete set, all you need to make your own EVBIKE. Enjoy advantages of 12V GreenEye LiFePO4 batteries in SLA design intended not only for direct replacement of GEL batteries to save long life of your appliances. 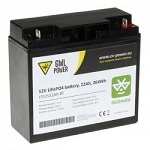 The 12V GreenEye LiFePO4 batteries are provided in two versions with capacity 11Ah and 22Ah. Both are equipped by PCM module to secure the cells inside against deep discharge and overcharge. This PCM module allows maximum discharge current up to 30A. The PCM module supports Bluetooth 4.0 so you can monitor the battery status by GWL/GreenEye application in your smartphone. You can see the current capacity, voltage of each cell, charging/discharging current number of cycles, etc. See more details at product page for 11Ah or 22Ah battery. The Extended Module for 123 Smart BMS with many advanced functions is now available. The module adds 4 configurable relays, 2 individual CAN bus connections, Elcon/TC Charger comm interface, support of J1772/IEC 62196 protocol for adaptive charging and more to the 123 Smart BMS. See details on the product page. We received the fresh deliveries with many Winston cell models. We have on stock the main items now. The stocks fall quickly so do not hesitate with your order of Winston cells. EVBIKE bottle batteries are back in stock ! Very popular frame batteries are in stock again. Currently, we have all variants EVBIKE batteries 36V13Ah and 48V9Ah. The batteries are easy to install on the bike frame instead of the bottle holder. Having the battery in the bike hub leads to optimal weight distribution. We have prepared special prices for our complete sets - Central or wheel motor in set with the high capacity battery. For example high power 750W motors with 48V/13Ah battery, perfect for a weekend trip. 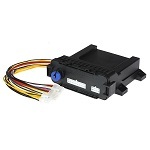 Next special offer is regarding 48V EVBIKE central kits with Gearsensor. 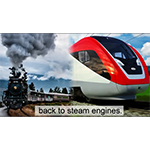 which is necessary for smooth running engine and maximal comfort on your trip. Now for unbeatable price! Don't forget we still have special limited price for 36V, 250W motor! 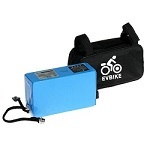 New EVBIKE batteries and chargers on stock! 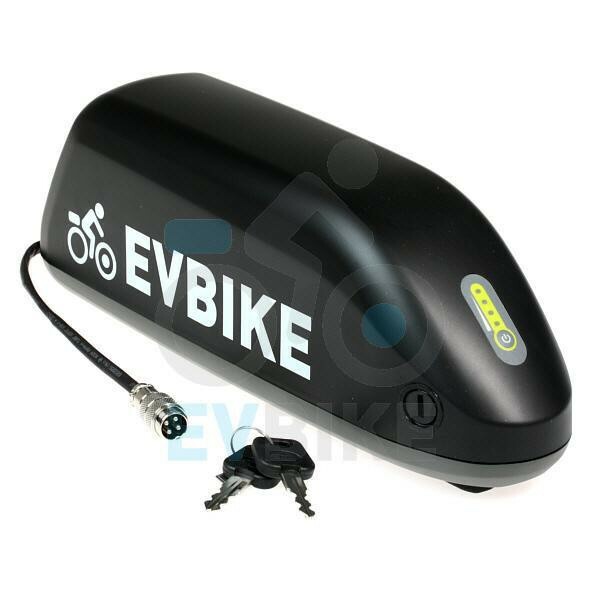 New EVBIKE batteries and chargers on stock!! 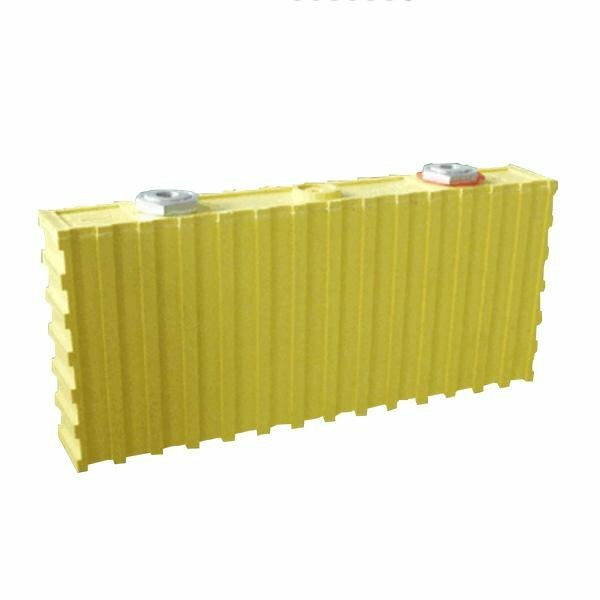 Batteries are available with capacity 36V 13Ah, 36V 15,6Ah a 48V 13Ah. Batteries are supporting fast charging, it means that you can choose between standard 2A or 5A fast charging. Batteries can be placed under the saddle, on the frame tube or into the bag, depends on your possibilities and preferences. April 2016, our company was approached by two young people with a common vision. With a vision of off-grid building that will be friendly to the environment and will also conform to current standard of living. 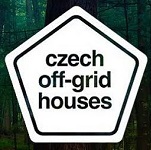 Thanks to Pavel Podruh philosophy and commitment the project Czech Off-grid House originated. Find our new GridFree: Kit of 2pcs of solar panel 270Wp + Microinverter 230V/500W (GF-KIT500-2P) which can produce up to 500 watts. The benefit of two panels is, that you can set every panels to different direction to schedule time of the highest energy production. This kit is also great way how to extend your current GridFree system. Notice new version of known micro-inverter YC500T (GF-YC500T) which differs to the old YC500 (GF-YC500) mainly by its AC connection. Now the YC500T has no more two AC cables (input for connection of other units and output) but just one. AC is now connected to bus (trunk) cable which connect all units together. This way is more convenient especially while you need to unplug or replace a single unit somewhere in the middle of the string for any reason. This new version also comes with higher level of water resistance - IP67 (the old version has IP65). All required accessories like a bus cable, caps for empty connectors etc. are available. New solar panels GWL/Sunny-270P just arrived to our stock. These 60 cells, same size (164x98x4 cm), polycrystalline panels are more powerfull. These can produce up to 270W (270Wp and you can buy them together with microinverter to get the simpliest PV power station or to extend your current GridFree solution. The main advantages of these new panels are efficiency 16.79% and resonable price. The well known and proven cells SDI94AH used in automotive mainly are now available for your orders. The cells use NCM chemistry for thousands life cycles. 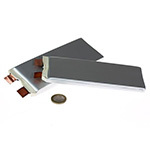 SDI94AH cells are made in VDA standard dimesions 173 x 125x 45 mm and they are also suitable for energy storages. See more details on product page. 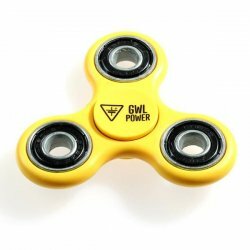 GWL Power brings to european market unique product with resonable price again! The new chargers are possible to set for LFP or LTO type of battery. The chargers also support 3 stage charging profile with full, low or no charging current by information from BMS. There are available chargers for nominal voltage 12V/20A, 24V/20A or 48V/10A. 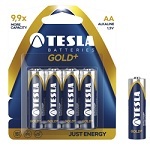 The original TESLA batteries Just Energy are now available from GWL Power. You can order the 1.5V alkaline cells in LR6 (AA) with capacity 2700 mAh or LR03 (AAA) with capacity 1200 mAh form factor. More over you can obtain these TESLA batteries for free. Just order goods for more then 50USD and add these batteries in your basket. Welcome to our new website and enjoy responsive design for your mobile phone and tablet, easier navigation and upgraded visuals. Having trouble while shopping? Please let us know! Meanwhile, you can use previous version old.ev-power.eu. Are you searching for price resonable cells for lightweight application? We tested and prepared for you great 10Ah cell using Li-Ion Polymer technology with high energy density 171Wh/kg. The cell is also capable to provide 50A continuous discharge current and 10A charging current. Continue to product page for more details. Are you using the 18650 form factor cells? We have good news for you - the three new types of this round cells for best price on the market. The first is A123 LiFePO4 cell with 1100 mAh capacity. There are also Li-On cells ISR18650 with 2600 mAh capacity and NCR18650B with 3200 mAh capacity. If you are searching for hi-tech 18650 cells with 10C currents and over 10 000 cycles life span us the LTO cell. Full offer of 18650 cells. The new MPPT solar controllers with MPPT efficiency 99.5% are equipped with integrated display for easy monitoring and setting (type of battery included). They are equipped with integrated temperature sensor and output to an external sensor. RJ45 interface allows to connect any device with RS485 (MODBUS open) communication. News are in two versions by output current 10A (TR1210A) and 20A (TR2210A). Powerfull and price reasonable GridFree solution for 3phase instalations. Order the new microinverter GF-YC1000 for 4 pcs of solar panels with output power up to 310Wp with independent MPPT inputs and obtain 1000 W balanced in to the all three phases. It is also possible to connect more microinverters GF-YC1000 in one string by this trunk cable. We cordially invite you to attend the 11TH DEVELOPER FORUM BATTERY TECHNOLOGIES. The exhibition will be held June 28 - 30, 2016 in Gliwice, Poland. Come to our booth where we will present Winston Battery, Smart BMS, Sinopoly, Calb and LTO technology. Read more. Enjoy advantages provided by new 72Ah LiFePO4 cell LY-LFP72AH with high continuosly discharging curremt 5C and peak current 10C (720A for up to 10s). This new cell is designed for EV applications due to aluminium case and terminal covers as well as for energy storages. The long life span up to 5000 cycles is commonplace due to LiFePO4 technology. Continue to LiFePO4 special cells category. GWL/Power introduce new type of LiFePO4 special cell with long lifespan and great energy density 145Wh/kg and 255Wh/l in pouch design. 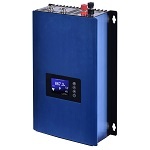 The 100Ah cell NPB100AH is suitable for all kind of using such as EV projects or energy storages. Continue to LiFePO4 special cells category. Meet Us at Intersolar Europe 2016! We cordially invite you to attend the Intersolar Europe 2016. The exhibition will be held June 22 - 24, 2016 in Munich, Germany. Come to our booth where we will present Winston Battery, Smart BMS, Microinverters and LTO technology. We have 20 free tickets for you. Read more. The green ZG LFP cells with outstading high power performance and aluminium case are suitable for EV as well as smaller energy storages. GWL/Power introduce new version of ZG cell with higher capacity 60Ah. Please see more details about the new ZG-LFP060AH cell on this page. Install the latest technology of solar panels with resonable price and use your space on roof fully. GWL/Power introduce the 270Wp monocrystalline full black design solar panel in standard dimensions (1640x992 mm). Please continue to this webpage to see full offer of GWL/Sunny solar panels. Meet us at Energy Storage Europe (ESE)! We cordially invite you to attend the Energy Storage Europe conference of energy storage which will be held from March 15-17, 2016 at Düsseldorf, Germany. It would be our pleasure to talk to you on the subject of LiFePO4 and LTO cells, high-capacity storage electricity for households and industrial use and protection systems BMS. We are looking forward to seeing you in Düsseldorf. More information here. Special invitation to learn more about the LTO technology. In order to give the first-hand experience and to share the know-how, we are organizing a specialized seminar where we will be sharing more details about the LTO technology: Advanced Battery Management for LFP and LTO cells. Date and time: February 18th, 2016 – Thursday, 10:00 to 18:00. Location: GWL (i4wifi a.s) Training Room, Prague, Czech Republic. We wish you take your chance and benefit from the seminar and the LTO technology know-how in advance. February is the best month for purchasing of Sinopoly LiFePO4 cells. The Sinopoly cells are in February special promo now! Do not miss this opportunity and choose the best suitable battery cells in our special February menu for you. For the best performance we strongly recommend to use the newest BMS technology on market including GWL/GreenEye technology, The SmartBMS123. Use GridFree technology with 2nd generataion of microinverters with output power 500W. You can connect directly two solar panels with output power up to 310Wp on one microinverter. GridFree solar system is more effective now becouse you can use only one microinverter with recomended two price resonable solar panels 265Wp or 300Wp. Install now and take advantage of full sun already this year. 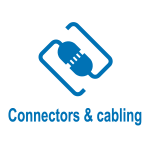 For more information about the system GridFree continue to this web page. GWL/power introduce new 12V/600W, 24V/3000W and 48V/3000W of DC/AC inverters manufactured by EPsolar from SHI serie. This serie is special designed for battery back up systems, caravans and similar applications. There is possible to obtain these inverters for resonable price in relation of the new design. Please see all off-grid inverters from GWL/Power. Enjoy new lower prices and use for your projects 250Wp polycrystalline solar panels at a great price. You can obtain them also in advantaged set GridFree with 250W microinverter. You can also get for special price monocrystalline 140Wp solar panels. Please see full offer of GWL/Sunny solar panels. Integrated BMS for 6 to 24 cell applications. 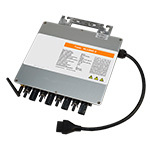 Complete single central unit Battery Management System with the support for the LiFePO4 and LTO technology. Detailed cell analysis and storage of the BMS operation history data. Study the details for the BMS2405 - Integrated BMS for 6-24 cells LFP/LTO. We will be happy to support the use of this BMS in your projects. High power DC charger for 12V to 24V with 50 AMP output. The new charger is designed for powering of 12V to 24V equipment, for charging of 12V battery packs. 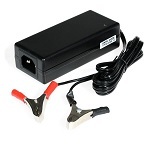 See more details for the charger 12V to 24V 50A. Try and see the high quality product for yourself, order now. 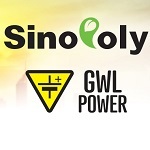 Sinopoly Battery Lithium Cells available from GWL/Power. Check our full offer for the Sinopoly LiFePO4 cells. We have the most demanded models SP-LFP66AH, SP-LFP100AH. For larger capacity projects and for energy storage solutions we offer the bigger SP-LFP200AH, SP-LFP300AH cells. 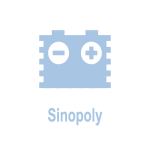 See our complete offer for Sinopoly Cells 40AH to 300AH. We welcome your orders now! GWL/Power in co-operation with CALB is inviting all customers, partners, friends and supporters to visit the CALB + GWL Booth at eCarTec 2015 show in Munich. It is one of the few chances to meet us face to face. We welcome all customers, fans and friend to see us and talk to us. Check more details about the eCarTec 2015 in Munich, Germany. Check also the special promotion of the CALB cells. Open your eyes to see the new dimension of the battery world with the GWL/GreenEye technology! With the GWL/GreenEyeyou can see inside your battery. The battery or even a complete battery system is no longer a black box. You can simply see what is happening inside the battery pack at each cell. Learn more about the GWL/GreenEye technology. 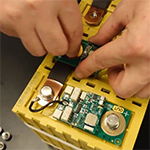 Take your chance to become the battery professional. Learn about the LiFePO4 technology from the engineers of the manufacturer. Become one of the real experts who benefit from the advantages of LiFePO4 batteries. 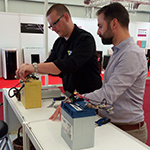 Come to The Battery Specialist Training Seminar - 27th October, 2015 at GWL training center in Prague, Czech Republic! - Click for more details and registration form. Check the GWL/Power at Twitter! We are publishing latest news and updates for the DC power and energy solutions. See what is new, learn about our projects and more. Click here to follow GWL/Power at Twitter. Slow down your electricity meter legally! Reduce the consumption from the public grid by getting a part of the energy from the sun-shine. This concept is called the GridFree. Learn more how to Slow down your electricity meter legally!. Smart, Simple, Small. Three "S" for main features of NEW EVSE KIT v1.1 intended for wallbox installation. Be cool and make your own charging station at home/work for electric car. EVSE KIT v1.1 supports many EV like: Tesla Model S, Nissan Leaf, Mitsubishi iMiev (Peugeon iOn, Citroen cZero), Opel Ampera, eGolf and others. It comes with read-made connectors so that no soldering is needed. Together with charging cables Mennekes or Yazaki you can complete it very quickly. See also the EVSE section at GWL/Power blog. We extend our offer of pure electric cars by new price resonable compact and agile car GWL/Smarty designed for city. GWL/Smarty is hologated for public roads in EU and the power consumtion is only 10kWh/100 km. 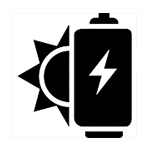 The next main advantage of GWL/Smarty is you can specify the needed range by capacity of battery pack. 72V/90AH battery corresponds to about 60 km range or there is possible to travel about 140 kilometers with 72V/200Ah battery pack. New models of MPPT solar regulators - IN STOCK! Few months ago we introduced you new EPsolar regulators. It took just a while and we have models even for smaller installations now. We have available 10A and 20A model in stock now. Together with solar panel and batteries you are able to make simple and effective island system good enough for: cabin in mountains, campervans and much more. Start to use green energy with further EPsolar products and use clear energy. Small hint for you. Regulators require installation of LCD display MT-50. New single cell charger (3,6V, 20A) for LiFePO4 on STOCK! We have in stock high current 3.2V/20A single cell charger. It can charge any 3.2V LiFePO4 rechargeable cell. This charger can be used for any LiFePO4 cell to make the initial charging to reach 3.65V level. Check more details and order on-line here!. New SBM modules for 4 LiFePO4 cell (SBM04/16H) and 8 LiFePO4 cells (SBM08/40H) offer high peak current capability - up to 80A peak at SBM04/16H and up to 150A at SBM08/40H makes these boards very suitable for high-current application. The new SBM module for 24 LiFePO4 cells (SBM24/40) is specially designed for powerful EV-Bike, eScooter or other projects using 72V. 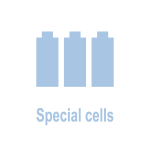 Special July promotion chosen medium sized cells is running! Leading the offer are black Sinopoly and yellow Winston. Only last pieces of WINA and CALB SE cells remains, hurry up. Medium size cells are oftenly chosen in smaller energy storage or EV car conversion projects. They offer the perfect compromise of capacity and size. Enjoy our special summer pricing for lightweight flexible solar panels for easy installations at variety locations where standard panels cannot be used. Learn about the new technology for the Flexible panels 60Wp, 80Wp, 100Wp and 130Wp. We promise to offer you the best flexible panels on the market. See many ideas about flexible solar panels at the GWL/Blog pages. Visit GWL at InterSolar and ESS 2015! We welcome all of our customers, partners and friends to come to meet us at InterSolar & Electrical Energy Storage 2015 - Munich, Germany, June 10-12, 2015. We will support the key battery producers in Hall B1 (Energy Storage Section): CALB showroom: Booth B1.350C and Winston Battery showroom: Booth B1.290. Check our special Intersolar 2015 page to register on-line to receive a free one-day ticket. We invite our regular and new customers to meet and talk. Thundersky Winston Battery LiFePO4 promotion. Check our promotional offer for ThunderSky Winston Battery LiFePO4 cells. GWL/Power has been distributing the Thunder Sky Winston Battery cells since 2008. The Winston Battery cells have proved to be long time reliable product. The solar micro-inverters are getting more and more favorite for the small size photovoltaic installations. The latest news for the solar micro-inverters: Check our latest overview of the Support articles and top FAQ. For high power panels we suggest to use the MAC250 V2 micro inverter with 250W rating. 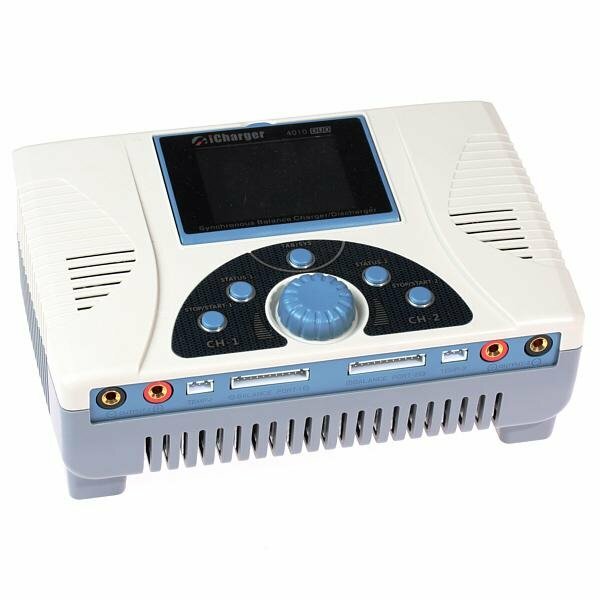 Check other related producs for micro-inverter technology. Are you interested in using the infra-red (thermal) camera? Check our special infra-red (IR) camera promotional offer that will help you start using infra red cameras for your applications. The technological progress for solar panels is clearly visible: In 2012 we have started with 230Wp, today we offer 260Wp at the same panel dimensions. The increase is 10Wp per year. 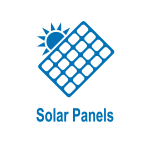 Check our latest offer of NEW POWERFUL SOLAR PANEL 260Wp POLY and also 150Wp POLY version. Check also the promotional offer for the GridFree kit. If you wish to install a bigger solar project, check the special promotion for 10 GridFree Kits. The new SBM01/20 is designed for protection of a single cell against overcharge, overdischarge and overcurrent. SBM01 is an easy and suitable as simple protection of a single LiFePo4 cell, including small cells. Check our complete offer of SBM/CBM protection modules. The GWL/Power 36V/13A EV-Bike battery comes in a new silver design. While all the specifications remain identical to previous black color model, the silver casing with a smaller black logo brings several improvements. 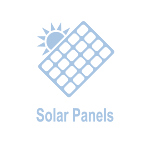 Most importantly, the color is chosen to reflect the sun rays which results in a lower temperature at full sunshine and thus increasing the lifetime of battery. 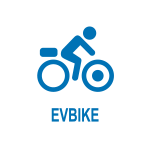 Furthermore, the black logo of EV-Bike can be replaced in case you wish to produce your own brand for the EVBike! The new batteries are in stock - make your purchase now and enjoy the biking season! Note: This battery is compatible with all 36V motors from GWL/Power. Expected deliveries of solar panels are coming and we are happy to offer you NEW small size solar panel 20Wp Poly RIGHT NOW. This panel you can use with very affordable PWM 12/24V 10A solar regulator and Winston 12V 40Ah LiFePO4 battery. More products are coming soon. Wait for additional details. New Tracer and iTracer series are now available in the shop. Regulators were redesigned and new die-cast aluminium case ensures excellent heat dispersion. iTracer series solar regulators are perfect for large PV systems up to 3,2kW. New Tracer series regulators can be used for home, camper vans and other small PV systems up to 1kW. For setting and monitoring is also available new remote LCD display MT50 and RS-485/USB cable. More products are coming soon. The Winston Battery cells best models: 100AH (Wide), 160AH (Wide), 260AH. The Winston LiFePO4 large capacity cells on stock: 300AH and 400AH. - We welcome your orders! DC/AC inverters to make the 230V AC from the DC battery voltage. The STI 500W for 12V DC and STI 1000W for 24V DC are designed for long time applications with full sine output. Try these high quality DC/AC inverters if you wish to make your offgrid installation. Do not forget proper DC fusing! Proper fusing is a must for all DC installations. Even though in many diagrams the fusing is not drawn, but it is something that must be always properly handled. The rule is simple: “all DC installations must have fusing.” Check our offer for the MEGA type DC fuses. The WINA LiFePO4 cells are made with aluminium casing so they are great solution for EV applications like eBikes, eScooters and lightweight eCars. See more about the WINA cells at GWL/Blog. Enjoy current special February promo for WINA cells and obtain the cells for best price then ever before. 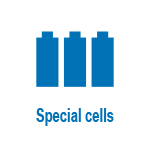 The CALB SE cells are on the market for many years. GWL customers keep using these quality cells in their projects since 2010. 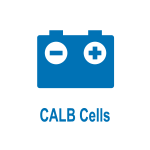 We are coming to more than 5 years of real experiences with thousands of CALB SE cells in hundreds of applications. We recommend to use these cells also in you projects and we prepare for you special February promo to we help you and support your projects. Monitor and manage your system remotely using the LAN Module Controller V2. This smart technology product allows to monitor digital and analog inputs and to control relays and analog outputs. The data is available on-line and can be logged over a web application. A new tool for you: the Relay board for LAN Controller - 4 relays, 16A. See also the the Current sensor for LAN Module V2 to measure of AC or DC current up to 31 Amp. See additional support at the GWL/Blog LAN Controller section. 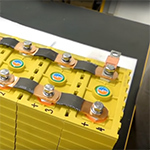 Lithium Titanate Cells and Batteries from GWL - Lithium titanate batteries (LTO) have extraordinary long life cycles, fast charging and are much safer than other types of lithium based batteries. The lithium-titanate cells based on chemical composition of litium and titanium (e.g. Li2TiO3, Li4O4Ti, Li4Ti5O12) bring new possibilities for energy storage and high power DC applications. Check for more details about the new LTO products. Do you have electric appliances that keep running for long time and consume a lot of electric energy? Example: Computer Servers and Networking Equipment, Office equipment and local desktop PCs, Lights in corridors, basements, garages, etc. Reduce the consumption of the electricity from the grid. 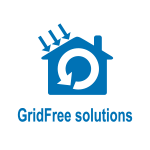 Check more about the GridFree solution. 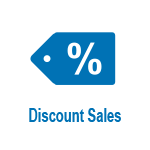 Take your chance now: Special offer of Discount Products with sales promotion. High quality LiFePO4 models in our product line: High power LFP cells in aluminium casing. Ideal for high current applications and for the energy storage. See details about these 36AH, 50AH, and 100 AH cells. These cells have low weight, extra stability and improved mechanical design. 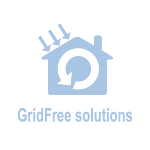 Study our test reports and specification data. See more about the WINA cells at GWL/Blog. Check our offer for the WINA cells. We stock the most favourite the 8AH, 10AH and 15AH models. Why to choose WINA? High power density, high performance, robust aluminum case, long life span. Test these cells and see for yourself. See the complete line of WINA LiFePO4. Do you have a project for solar panels? We will be happy to help you to make your project with the micro-inverters. We can give you ideas, links, examples and references of how to make the installation of the solar panels with micro inverters The whole team of GWL/Power is ready to provide support to you. Please contact us for help to start with your solar project. Do you have enough power for your mobile devices? Get the high-power TL-PB10400 - 10400mAh Power Bank with large capacity and simultaneous super-fast charging through Dual USB ports (5V/2A and 5V/1A). The 5V USB power bank recommended by GWL/Power. The best product on the market: small size with full capacity of 10400mAh. Slow down your meter legally – it is so easy! For all kinds of equipment with a permanent consumption of electricity, you can easily reduce the consumption from the public grid by getting a part of the energy from the sun-shine. This concept is called the GridFree. You can also use the GridFree to slow down your electricity meter! Keep following GWL/Power at Twitter! With growing number of customers we look for new channels to be in touch with our friends, fans and supporters. 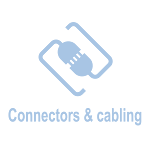 The Twitter was chosen to give you updates and links to the news, products and support articles. We hope the Twitter account will be a good way to make it easier to stay tuned into the many things we keep doing at GWL. Come and join in following us on Twitter! Take the opportunity to sunny days - use solar panels! 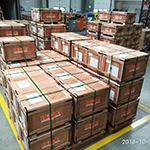 Many distributors underestimated the interest for panels, but GWL/Power is prepared and has a large amount IN STOCK in Prague warehouse. The most favorite model are available now: Mono 80Wp and 250Wp, Poly 250Wp and 300Wp. As a great combination we recommend to use MicroInverter GridFree with solar panel in in a preferred kits GF-KIT230 and GF-KIT230-M.
Advantageous tools for measuring your power consumption at home. MIEO HA-102 and HA-104. These tools are very simple and easy to use. Main advantage of them is wireless communication between main unit and measuring sensor. It is not necessary to break wiring to install them. With HA-104 you can even store data in computer. The best and cheap way how to monitor energy consumption. Before you start thinking about GridFree solar system, you can analyze how big system you will need. More information about product in details of products HA-102 and HA-104. We have new MONO solar panel 250Wp with black frame. Great option on the roof of your house. We also get new 300Wp POLY solar panel. This panel replaces less powerfull version 290Wp Poly. Both of these solar panels are great in combination with Microinverters GridFree. Think about saving money with the best solution Solar panel + Microinverter GridFree. Proper charging of the LiFePO4 cells is a must. 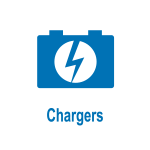 The single cell chargers allow charging of single LFP cells directly. 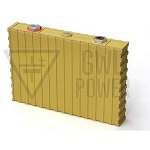 GWL offers two models: 3.6V/5Amp (POW4V5A) and 3.6V/18Amp (POW4V20A2). These chargers should be used to make the initial charging of the LFP cells. They can also be used for individual cell balancing inside the battery pack. Every person working with LiFePO4 technology should have these chargers at hand to charge the cells properly. 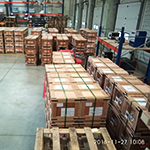 Our warehouse in Prague have just got new present for all our customers. New delivery of Winston Battery cells. In next days you can expect availability of these models in high volume at our eshop: LFP040AHA, LFP060AHA, LFP160AHA, LFP300AHA, LP12V40AH. Get what you need right now. New product with more compact dimensions, simple integrated into a circuit. 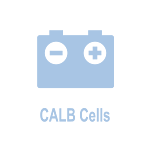 Please see SBM16/10A2 product here. The SBM is the Simple Battery Management board that allows monitoring the voltage levels of each cell in the pack. Learn more about the SBM at our GWL/Blog. Visit GWL at InterSolar & Electrical Energy Storage 2014! We welcome all of our customers, partners and friends to come to meet us at InterSolar & Electrical Energy Storage 2014! We will be showing the lithium batteries, energy storage solutions, products for energy generation and microinverters. 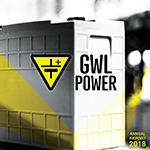 See more details for the GWL booth at InterSolar and Electrical Energy Storage. Monitor your Micro-Inverter installation with the eLog! The eLog: a simple solution to monitor the Micro-Inverter installations. The eLog unit with LCD communicates with up to 16 microinverters displaing the IP address, the actual power of the system in Watts, total energy production in kWh, number of connected microinverters and other data. The eLog sends the data to the central monitoring system. The eLog is compatible with the MAC-230 micro-inverters. 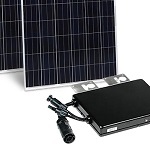 Check more about Micro-Inverters at the GWL Technology Blog. New solar panels Schutten 250Wp - Now on Stock! 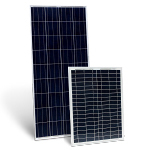 The offer of solar panels now includes the latest polycrystalline panel Schutten Solar 250Wp EUFREE. The panel is the replacement for the 240Wp model. The dimensions and technology of both panels are same. The advantage of new panel is that you get more solar power at the same space. We have the 250Wp solar panels on stock now and available for you. You can submit your orders on-line. The panel is ideal be used with the Grid-tied Micro Inverters. New products for electric car users: benefit from the charging infrastructure using the Mennekes type IEC62196-2 connectors with cabling. We offer a complete product range for the charging cabling: Plug-In Head, Extension Cable M+F, Car Socket Inlet Panel. Check more details at the EVCharge product section. The solar products offered by GWL come with an extended warranty to give you the assurance of long term performance. The warranty is provided by the manufacturers of the solar panels and MicroInverters. In addition both the solar panels and micro-inverters come with TÜV Nord certification. This way the complete solar solution has a verified quality to serve you many years. Check more details about the extended warranty. Check our new product - J1772 cable with EVSE kit included! Now you can directly charge you vehicle (Nisan Leaf, Citroen Berlingo Electrique, Opel Ampera, Renault Fluence, Mitsubishi Miev, Mia Electric, Citroen C-Zero, Peugeot iOn, and others with J1772 connector). This cable has a capability of charging with up to 16 Amp (3.6 kW of power) and includes a possibility to limit the charging current using the connector button. Make your charging fast and see details here. New BMS system specially targeted for use with 12/24/48V home energy storage systems is here! BMS123 OFFGRID is powerful but very simply to use BMS system, offering several priceless features like 60A relay block for safe disconnect of both load and also the solar controller. BMS123 OFFGRID is not powered from 12V board battery, but directly from your home storage pack bringing simplicity to your project, saving money in the same time. Check more information about BMS123 OFFGRID at our GWL-Blog! Following the suggestions from our customers: starting from February 2014, we have removed the handling fee for the small orders. This means you are welcome to make even small orders for single items at the EV-POWER.EU web shop without extra costs. We hope that your business with GWL will be even more pleasant. Any other suggestion? Be sure to let us know! The simple solution for DC powered off-grid energy: DC/AC Inverter Steca Solarix PI 1100 with support of multiple inverters for high power outputs from 1100W to 4400W. The inverter has been tested to work with LiFePo4 battery pack of 24 V. This inverter has high power rating for peak supply and over load capability. This inverter is recommended for all off-grid installations with the typical supply up to 4400W. Introducing DC powered off-grid energy solutions: DC/AC Inverter Steca XPC 2200 with charger and backup function. The Steca XPC 2200 can be connected both to the battery pack and have the AC grid as the energy backup. The inverter has been tested to work with LiFePo4 battery pack of 24 V. This inverter has high power rating for peak supply and over load capability. This inverter is recommended for off-grid/hybrid installations with the typical supply up to 1600W. Welcome in 2014! We wish to deliver the best energy solutions for you. EVBoiler Storage Water Heater is an electric water heater (boiler) with a 100 liter storage tank. It is powered both from DC power – directly from solar panels up to 2kWp. The solar energy from the photovoltaic panels can be stored as a hot water. Direct Solar Energy - direct photovoltaic water heating – no thermal solar – direct DC power from the solar panels. No need for a regulator or other electronics. Learn more about the EVBoiler Storage Water Heater AC-DC GridFree Direct Solar. 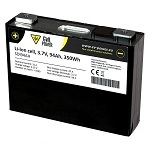 Universal Alcaline Batteries - the most favourite cells for everyday use: AA, AAA and 9V size. Check our offer of these high quality alcaline cells. These alcaline cells are also offered as a part of your order rewards. If you make an order, you can add thece cells and other products at promotional discounted price. Take your chance and get this benefit for your order at EV-POWER.EU! The Tracer MPPT series charge controllers provide the easiest solution for charging of the batteries from solar panels. 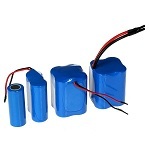 The Tracer products are designed to work with 12V or 24V battery packs. The size of the solar panels is from 20W to 1000W. Check the the specification PDF with more details. See the Tracer on-line offer. The Tracer controllers can be linked to Windows PC using the Monitor for Tracer series. The initial charging is very important before using of the cell. Check the offer of the new battery and cell chargers. We have in stock high current 3.2V/18A single cell charger. The 12V chargers are used to charge 4 cells. Check the new versions 12V/5A, 12V/10A, 12/15A. The 12V battery pack can be simply monitored by Akumon V2. Introducing lightweight flexible solar panels for easy installations at variety locations where standard panels cannot be used. Learn about the new technology for the Flexible panels 60Wp, 80Wp, and 130Wp. We promise to offer you the best flexible panels on the market. See many ideas about flexible solar panels at the GWL/Blog pages. Making the battery packs for energy storage is very easy! Check our promotional offer for the large capacity lithium cells 700AH and 1000AH. These are the largest cells on the market. Learn how to assemble these into a powerful battery packs. Note: this is a special promotion with a limited time period. The solar charge controllers with the Maximum Power Point Tracking (MPPT) help you to save the energy from solar panels to batteries. Check our offer for the MPPT Tracer series for 12V and 24V battery packs. We also offer the eTracer series for 12V, 24V, 36V and 48V. Learn about the Solar Controller Monitor to log data to your PC. 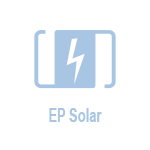 View the complete offer for the solar charge controller products. Enjoy your bicycle with the EVBIKE power! Each September we give you a chance to enjoy a promotion of selected products at special SALE! pricing. Get the quality products for reduced price. 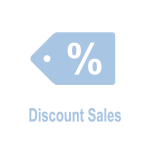 See our Discount Sales Section page 1 and also page 2. We offer: mounting components, copper belts, high power chargers and even motor controllers. All products are fully new and they come with a regular warranty. Special price offer of EUFREE solar panels (info PDF). Get your solar panels for EU Market. These panels are 100% new and fully legally imported to European Union with Extended Warranty 30 Years and Guarantee from TUV NORD. Buy the EUFREE solar panels now and be sure of your purchase. Akumon A2 - 12V LFP battery monitoring and balancing board. Introducing the New Version 2. 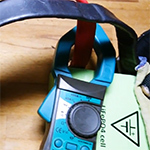 The improved version of the AKUMON allows the easy management of 12V lithium block batteries. The new version has improved output functions and provides support for multiple batteries. Check the details about the AKUMON New Version 2. Do not leave your 12V lithium batteries without proper monitoring. Get your AKUMON now! 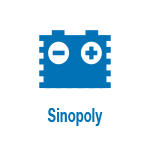 Sinopoly Lithium Cells now with more product variety. Check our enlarged offer for the Sinopoly LiFePO4 cells. We have the most demanded models SP-LFP40AH, SP-LFP60AH-2, SP-LFP100AH. For larger capacity projects and for storage solutions we offer the bigger SP-LFP200AH, SP-LFP300AH cells. See our complete offer for Sinopoly Cells 40AH to 300AH. We welcome your orders now! Charging plug and cable for electric cars - model Yazaki SAE J1772 with 5 m cable, designed for 16Amp. High quality plug compatible with many EV cars: Nissan Leaf, Mitsubishi Miev, Citroen C-Zero, Peugeot iOn. See more details for the J1772 Plug with cable for EV car L2 charging (16 Amp - 5 meters). We keep stock for fast shipping in Europe. Come to meet GWL/Power at the InterSolar 2013 in Munich Germany. The exhibition takes place on June 19th to 21st, 2013. Together with our partners we will be showing components and solutions to produce and store electric energy. We will be displaying affordable solar panels 20Wp to 280Wp, direct solar invertors and micro-invertors, the Energy Storage Solutions using high capacity lithium cells from small cells 40AH to large cells 400AH. We welcome all friends, partners, customers and everybody to come to meet us at InterSolar 2013. You can also follow the InterSolar news at our GWL/Blog InterSolar section. The advanced products for DC power solutions. The easiest way to manage the AC devices remotely using the IP ethernet protocol: The AC socket Ethernet Controller 230V/16A . 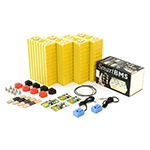 A complete BMS system with single-wire connection of the Cell Modules and easy operation: The BMS123 complete system available on-line. 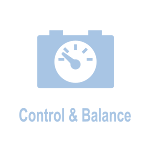 Check the BMS123 support pages. EVTraxer – build the electric car your own way. The EVTraxer platform is the only EEC homologated platform that allows to finish the construction of a fully functional electric vehicles in just weeks or even days! Wish to build your EV right now? The EVTraxer, an open project electric vehicle platform is a way for you. Homologated for public roads in EU. Just finish your kit and Go! Special promotion offer of 48V chargers! The 48V is the most frequently used voltage level for DC systems, including solar batteries, energy storage and small traction solutions. 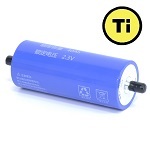 Check our special offer for stock supplies of the 48V charges. This offer includes chargers from 30 Amp to high power 150Amp models. The special offer is limited untill stock supplies last. 1) The 5kWh Universal Energy Storage Setup - a practical realization of a mid-sized energy storage solution with 5 kWh of energy capacity. The modular design to store energy from the AC 230V grid and to release the energy back to the grid. 2) Micro Energy Storage Setup with solar charging support - a small size energy storage solution with 3.2 kWh of energy capacity with 230V/230W AC grid-tied power output. The basic concept of the energy storage with easy expansion. Our complete range of products for solar and energy solutions: Starting with solar panels from 20Wp to 280Wp. 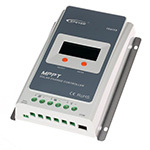 Saving the solar energy into batteries using the MPPT and PWM solar regulators. Generating the grid-tied energy for 230V AC grids using the 230W Micro-Inverters and the multi-string GF-2000 inverters. 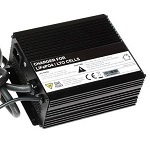 Learn about the MicroInverter advantages at GWL/Blog. Welcome in 2013! The year of the solar and energy-storage revolution. In 2013 we continue to help the worldwide community by means of the Solar Energy solutions: affordable solar panels 20Wp to 280Wp, direct solar invertors, sine inverters and micro-invertors. Energy Storage: DC power solar chargers, hybrid and grid-tie invertors, off-grid power solutions. 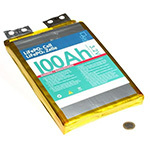 Lithium Cells: high capacity lithium cells from 10AH to 1000AH. Chargers: complete battery charging and BMS management solution. Check for details about the GridFree solutions at the GWL/Blog pages. Micro-inverter is a small direct solar energy generator. It collects the energy from solar panels and transforms it into AC230V/50Hz grid level energy. You can simply use the micro-inverter to produce the energy on your own and to reduce your energy demands from the grid. Check our offer of the GridFree micro-inverter products. Understand the benefits of the Micro-inverter technology by studying the details at GWL/Blog. Now you can start with electric mobility driving Electric Scooters MGY 1500W - 64V/20Ah. Make a decision to do something about the electric mobility. Get an electric scooter. Excellent for traveling for short distances in the city or villages. The MGY 1500W scooter is running with 64V battery and brings great cost/performace ratio. Special offer of the 2012 models. Check the details for the Electric Scooter MGY 1500W. 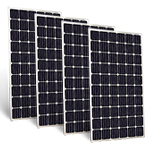 Solar panels with 230Wp and 280Wp - ideal for any kind of solar installations. Let the sun bring the power to you free of charge. The solar panels will help you to generate the electric energy at you location when-ever you have sun-shine. Check the details for the 230Wp and 280Wp solar panels. 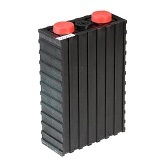 The 12V LP batteries are ideal for 12V and 24V simple solutions. They are recommended for energy backup solutions with no deep discharge situations. They can also be used as starting batteries in normal gasoline cars. 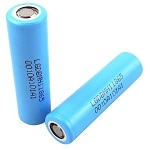 Check details about the usage of the LP12V batteries. See our offer for the special promotion of the 12V LP batteries. mFi is a M2M management software and hardware solution that is designed to work with Ubiquiti’s mFi product line. Use standard Ethernet cable to connect machines or sensors. Use Wi-Fi to connect mFi nodes seamlessly into your IP Network. Unlimited device scalability. The mFi allows to connect a variety of detectors or signal sensors. The sensors are connected over router or Wifi aceess point. Check the mFi products at our Machine Data (mFi) section. Follow the details at our GWL/Blog.. 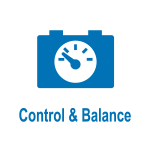 The LAN controller is a very smart device that can help you to manage a lot of equipment based on the detection of measured values and a time schedule. It is possible to connect a variety of detectors or signal sensors. The current status of the inputs can be monitored on-line over Internet using the web server. The settings of the LAN controller are made remotely over web page as well. In addition the LAN controller allows sending data using plain email. Check the offer for the LAN Controller. The EVBarrow is a solution for the electromobility at every garden and farm. Make your life easy with the EV powered EVBarrow. Up to 400W of power gives you the drive to move the loads faster and with less hard labor. See the additional information for the EVBarrow at GWL/Blog. The EVDock is 100% wooden CarPort to shield the car and protect it against direct sunshine, rain, snow, etc. It is designed as a self-construction kit that can be assembled by two people just in a few hours. Check more details and photos of the EVDock at GWL/Blog. Now you can order the EVDock on-line. Thank you for meeting us at eCarTec 2012! We wish to thank to all our customers, friends and partners who came to meet us at Munich – October 23rd to 25th. HALL 2D, booth 520. We will be updating our web pages to show the latest products demonstrated at eCarTec. Check details and photos from the show at our GWL/Blog. High Power solar panels up to 280Wp - get power for your solutions! High Power Solar Panels: We deliver high power solar panels for FV solar installations. From one panel to large projects. All panels are high quality panels, 100% with full warranty. Check our latest offer for high power 280Wp POLY panels. Energy Storage solutions: In co-operation with our partners, we have supplied lithium cells for a project of 1MWh mobile energy storage solution. This project is scheduled to be completed in November 2012. It is grid-tied 1 Mega Watt-hour solution to allow energy storage, release and buffering to the 3x400VAC network at switching times of >0.001 second. Check for details about the 1MWh energy storage solution . Do you need to swich high currents? Check our offer for the high current latching relay designed for AC and DC voltage with a maximum current 100A DC (at 48VDC) or 120A AC (at 250VAC). The advantage of the lachting relay is that there is no need for continueous powering of the operating coil. 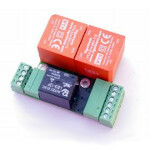 See details about these Latching Relays. Solar Energy solutions: direct solar invertors, sine inverters and micro-invertors. Energy Storage: DC power solar chargers, hybrid and grid-tie invertors, off-grid power solutions. Lithium Cells: high capacity lithium cells from 200AH, 400AH, 700AH, 1000AH. Chargers: complete battery charging and BMS management solution. Check for details about the GridFree solutions at the GWL/Blog pages. Evergy Saving solutions: purchase LED lamps for 230V (E14 and E27 sockets) to save money and cut down your electricity bills. Check more details LED lams (E14 mignon) models and LED lams (E27) models. Single Cell Chargers - 3.65V - 6 Amp and 20 Amp models. Designed to charge a single cell (1S) of the LiFePO4/LiFeYPO4. Charging current: 6.0A Max and 20A Max. It can charge any 3.2V LiFePO4 rechargeable cell. This charger can be used for any LiFePO4 cell to make the initial charging to reach 3.65V level. Check more details and order on-line here! The LAN controller is a very smart device that can help you to manage a lot of equipment based on the detection of measured values and a time schedule. It is possible to connect a variety of detectors or signal sensors. The current status of the inputs can be monitored on-line over Internet using the web server. Check more details and purchase here! GWL/Power will be showing the advanced lithium batteries in co-operation with the China Aviation Lithium Battery (CALB). We warmly invite you to come, meet us and discuss the co-operation. 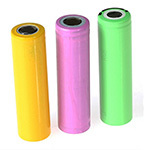 We have increased the offer of various models of the small capacity cylindrical LiFePO4 cells. These cells are ideal for low energy equipment and for many energy applications where tradicional round cells are used. We now carry the 3AH, 5AH, 8AH, 10AH, 15AH and 20AH models. Check our new offer of the DC power connectors. We offer the popular "Anderson" type 50A and 120A connectors with several different voltage marking: Yellow - 12V DC, Red - 24V DC, Blue - 48V DC, White - high voltage up to 144V DC. We are now offering the RT-BMS Cell Ballancing Units (CBUs) with dual power MOFSET transistors that allow the ballancing current up to 10A. The sucess of the balancing function is dependent on proper cooling of the high-power transistors. These must be mounted onto a sufficiant cooler. GWL/Power Tracer series solar charge controller adopts MPPT technology (Maximum Power Point Tracking). The advanced tracking algorithm make the solar module operate at ideal voltage which the solar modules can produce the maximum available power. Compared to conventional PWM controller, MPPT technology increase charge efficiency up to 30% and decrease the power of solar array needed. 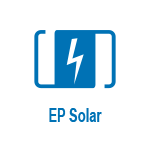 The solar chargers have been tested to prove the support for the LiFePO4 technology. 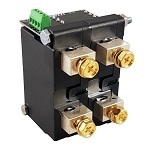 DC Power contactors are designed to connect and disconnect high DC currents. Check our offer of the DC Power Contactors 100A, 200A, 400A and 600A. We offer the concators with 12V and 48V voltages for the switching coil. Check our new web section of the Electric Vehicle (EVCar) Components and Parts. We are offering professional automotive components that make it easier to build and operate the EVCars. A simple solution to disconnect a 230V device from the AC power (off the grid). The built in light also gives an evident identification if the socket is on the power or not. Check the GWL/Power Socket with swich 230V 16A . A safety hint: We always recommend a complete hardware disconnetion of any equipment from the power sources when the equipment will be left unsupervised. The LiFePO4 with PCM have these key advantages: 1) Longer service life: 1000 cycles and beyond, 2) Full capacity even at high speed discharge rates, 3) Fast charging without overheating and gassing, 4) Lower self discharge: just few percent in a month, 5) Excellent life-span: service life of 5 years and more, 6) Protection against over charge and deep discharge, 7) Lighter in weight: 1/3 of the weight of the lead acid batteries, 8) Green ecology: no acids, no lead, not toxic substances. Wish to build your EV right now? The EVTraxer, an open project electric vehicle platform is a way for you. Available now! Homologated for public roads in EU. Just finish your kit and Go! The EVTraxer platform is the only EEC homologated platform that allows to finish the construction of a fully functional electric vehicles in just weeks or even days! Four steps to get driving your EV in just days: 1) Purchase the EVTraxer platform, including the homologation documents or get directly an EU registered license plate! 2) Get your own design of the outer body! 3) Modify the specifications of the vehicle according to your needs! 4) Finish the vehicle and get on the road! Check more details on-line at http://www.evtraxer.eu/. With the introduction of the new EV-POWER.EU web shop, GWL/Power has begun the promotion of the high-quality and top-performance DC power chargers under the TC Charger brand. The complete listing if products includes the 1.5 kW, 3 kW, 6 kW and 8 kW single phase 230V AC models. The specification data&nbsp;of the available models, the nominal and maximal voltages are listed in the specification PDF file. We welcome your inquiries and orders! GWL/Power has become CALB&rsquo;s key distribution partner with stocking area of 3800 m2.&nbsp; At present GWL offers the well-reputed SE series of the CALB models. Starting from April, the new models of the CA series will also become available to the European customers. 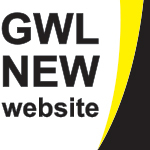 Welcome at the new on-line shop of GWL/Power Europe! Starting from March 13th, 2012 we are improving our on-line web business system to a new web shop with many new user functions. More goods and more products from growing number of suppliers were added to the on-line ordering system. We have checked-up to the pricing and updated the products range. Be sure to order on-line: During the month of March you can get an additional discount of up to 3% for your new on-line orders. If you need any help or advice concerning the new shop functions, be sure to contact our sales department. Making orders from GWL/Europe or from China. Which to choose? 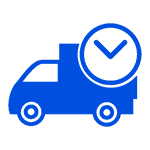 Get details about the difference when ordering from GWL and from China. We are testing new models of LiFePO4 cells with iluminium cases. A new generation of LiFePO4 cells with improved high current performance and excellent thermal performance. Check our discharge and charge tests. See some photos behind the scenes from our work in the GWL battery lab. We wish our customer to see that we are a regular company with business office, warehouse, training center, employees, etc. etc. This will give you the trust to co-operate with us. If you wish to get any details or information about our company, please do not hesitate to ask. Check the link with photos here. You are of cause warmly invided to come to Prague, to see and meet face to face. We hope to increase our technical support and services. We plan to add new products, battery brands and models. We are looking forward to co-operation with our customers! We thank our customers and all visitors of our main web pages at http://www.ev-power.eu/. We thank all our customers who came to visit our booth at eCarTec 2011 in Munich. Our exhibition booth was at A6, stand 603. Check some of the photos at the GWL Power on the exhibition eCarTec 2011 gallery.